This beautiful three bedroom, three bath, log home is located in the Arapahoe National Forest with views of the Continental Divide and 14,265 foot Mount Quandry. Hike, bike, snowshoe, sled, or cross country ski out your back door in the best backyard in Summit County. 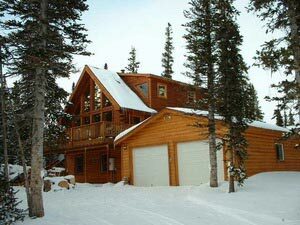 Easy access to an alpine lake with beautiful views of Mount Quandry and 1.2 million acres of Arapahoe National Forest. Down hill ski at Breckenridge, Copper Mountain, or Keystone Ski Resorts. The house can sleep up to eight comfortably and is equipped with baby accessories. 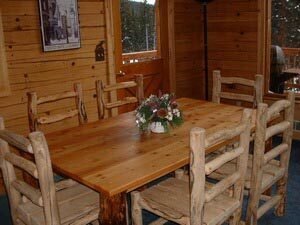 This log home has all of the amenities including a forested lot with a large wrap-around deck with a private hot tub. 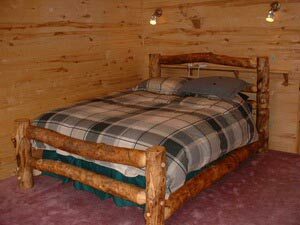 The master bedroom has a private deck, bath, and beautiful log furniture. Pets are not allowed, No Smoking. Stay 6 nights and the 7th is free - peak season is excluded.